Do you want to show your customers how convenient it is to boost battery life when they need to use an electronic device? At Universal Sourcing Inc., we have just the solution with our wireless chargers that are great on-the-go tools for everyone. 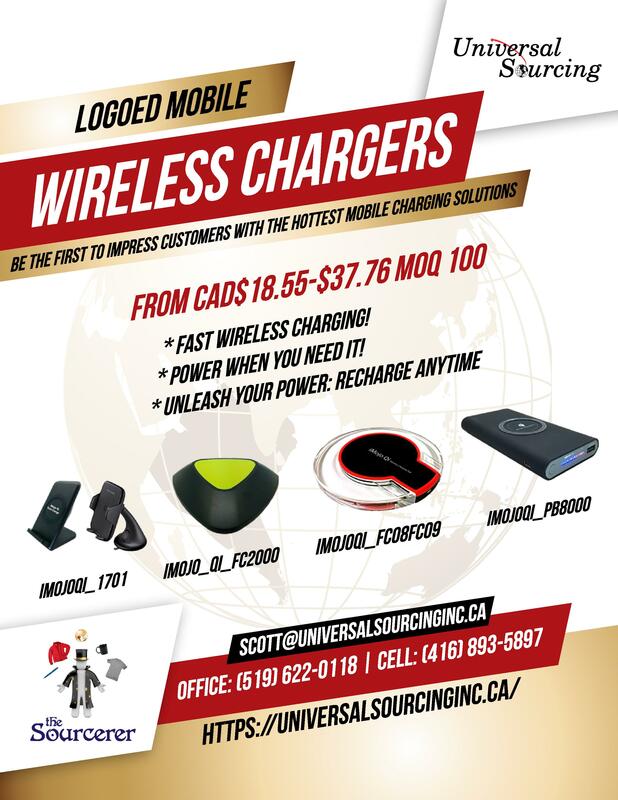 Call Universal Sourcing Inc. today to place your order for Wireless Chargers!